The Hollywood-backed Federation Against Copyright Theft was the driving force behind the four-year jail sentence handed down to former SurfTheChannel owner Anton Vickerman yesterday. The organization conducts its own investigations and then hands its findings to police and other authorities, but just how much can they discover about targets such as Vickerman? Internal FACT documents obtained by TorrentFreak show the anti-piracy group go to scary lengths to delve deep into people's private lives. Anton Vickerman, the owner of TV streaming links site SurfTheChannel, was sentenced to four years jail-time at Newcastle Crown Court yesterday after previously being found guilty of conspiracy to defraud for “facilitating” copyright infringement. The background investigation into the case was carried out by the Hollywood-funded, MPA-affiliated, UK anti-piracy group Federation Against Copyright Theft. 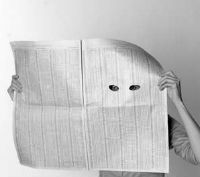 FACT has no official powers and is a limited company in the UK, but as this article will reveal it has a surprising level of influence when it comes to obtaining information. Before being sentenced Vickerman arranged that for his side of the story to be posted on the SurfTheChannel website. In close to 20,000 words he describes the past five years as a “very British miscarriage of justice.” In addition to the story Vickerman also posted an archive containing evidence to back up his claims. Among other things, the archive contains a FACT document headlined ‘Operation Stemp – Subject Profile: Anton Vickerman’, which is a dossier of information the FACT Intelligence Unit compiled on the SurfTheChannel admin, his family, and his associates. 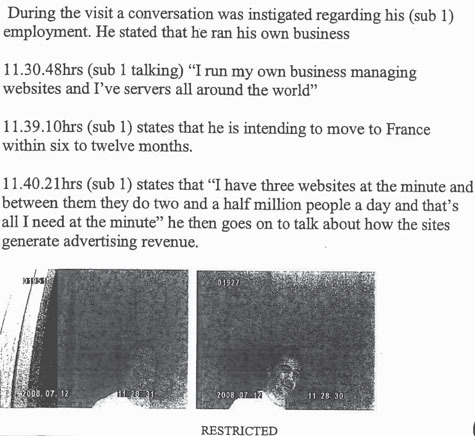 The document begins by stating that Vickerman is believed to be the operator of two “torrent sites” – surfthechannel.com and snarf-it.org, both of which “sell copyrighted material”. It follows with Vickerman’s home address, notes that his wife lives with him, lists the make, model and license plate of her car, and indicates she was being watched as long ago as May 2008. According to FACT, Vickerman worked on the famous Suprnova.org torrent site and used several aliases including FD, Shadow, Serious, Casper and Ben Vickerman. But from here things start to get more intimate. In the next section of the profile FACT conduct a “Financial Analysis” of Vickerman, noting that he had previously defaulted on seven credit agreements. And then, just when people in the UK might incorrectly presume that their finances are a private affair, FACT notes that Vickerman had two standing loans being paid back at the rate of £209 per month and goes on to describe the details of his mortgage, how much he pays each month, and the fact that he and his wife never missed a payment. The data gathering continues to include the personal details of Anton Vickerman’s mother and father who are both pensioners. Kelly Vickerman, Anton’s wife, was described as having two bank accounts and a credit card (with £1,025 outstanding) and an account with the comms provider BT. Initially FACT had considered that an account might have been held with comms provider BSKYB so wrote to the company asking for information – FACT apparently have “an agreement” with BSKYB to obtain information. As noted earlier, FACT incorrectly described streaming links site SurfTheChannel as a BitTorrent site, but they go even further when justifying the need to conduct surveillance on the Vickermans. The documents go on to list the reports provided by FACT’s private investigators as they track Vickerman up and down the country during and after his meeting with a movie industry undercover operative in a London hotel. They also list requests to use covert filming techniques when an operative posed as a potential housebuyer. Part of the operative’s report and filming is shown below. The depth of the investigation and the amount of information obtained by FACT on the Vickermans is quite remarkable. The data and correspondence collated runs to dozens of pages but perhaps what is most noticeable is the manner in which everything is presented. The whole thing looks like a police operation yet it was not – it was an investigation being carried out by a UK company on behalf of other companies in the United States. But for FACT and their Hollywood paymasters overseas, the effort will have been worth it. Four years in jail for Anton Vickerman is a very aggressive punishment and what could yet prove to be a significant deterrent to others looking to follow in his footsteps. The MPAA will be very pleased with their investment this morning, there can be little doubt about that. c There are 115 comments. Add yours?